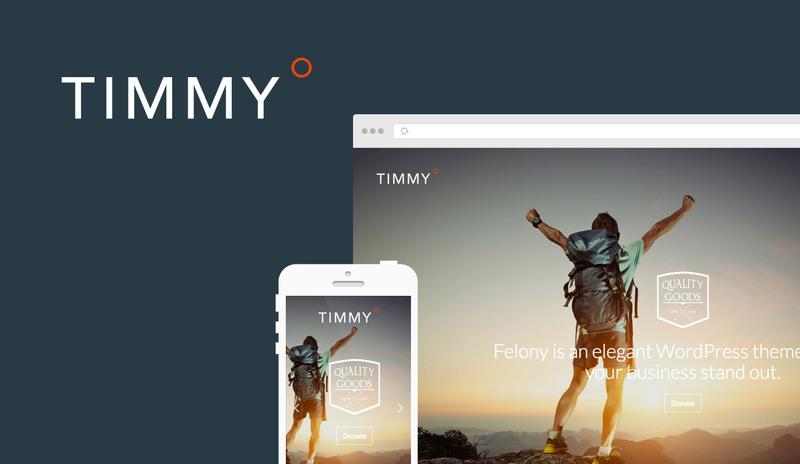 Timmy is an elegant WordPress theme to make your business stand out. This theme looks amazing across various screen sizes. Timmy is an elegant WordPress theme to make your business stand out. This theme looks amazing across various screen sizes. Timmy is a powerful multi-purpose WordPress theme for al kind of businesses. It has a clean layout with some nice extra features. You can add video backgrounds, publish projects and show the testimonials from your customers. Fix iOS video background bug. 4.0 average based on 4 ratings.